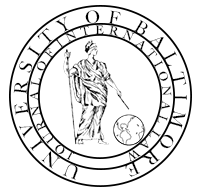 In spring 2015, the University of Baltimore Center for International and Comparative Law hosted the Conselho Nacional de Pesquisa e Pós-Graduação em Direito (CONPEDI). This group of Brazilian scholars discussed “The International Protection of Human Rights as seen from Brazil and the U.S.A.” With the help of Professor Marcelo Galuppo and Professor Mortimer Sellers, the Journal coordinated with many of the Brazilian scholars to publish their works. The superior works published here reflect the Journal’s ongoing expansion and increasing ability to bridge together the global community. Antonio Carlos Efing & Silvio Alexandre Fazolli: Digital And Virtual Identity Of Consumer: A New Human Right? Claudia Ribeiro Pereira Nunes: Have Been Guaranteed The Human Right To Adequate Food In The Brazilian Legal Amazon Region?